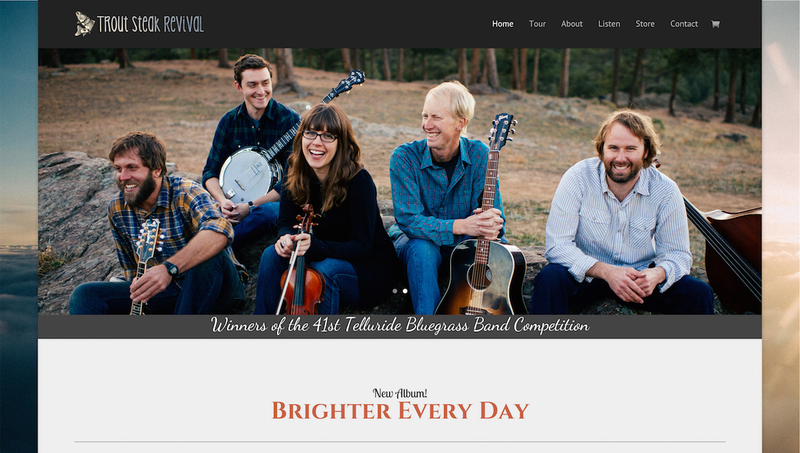 Trout Steak Revival - Denver App Co.
Trout Steak Revival is an award winning bluegrass band based in Denver. 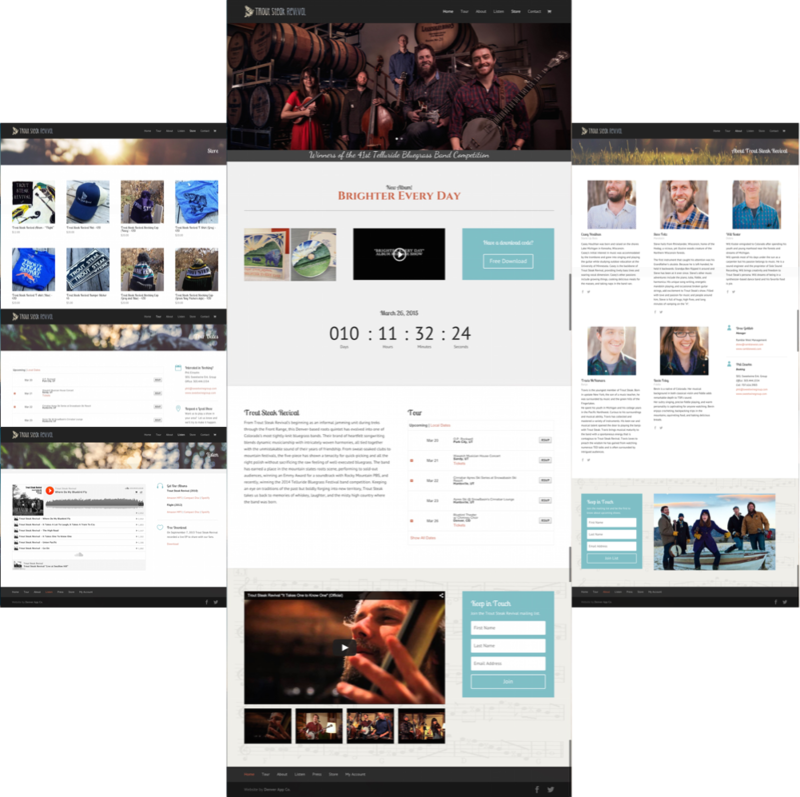 This website re-design was timed to coincide with and support the release of their new album, “Brighter Every Day“. 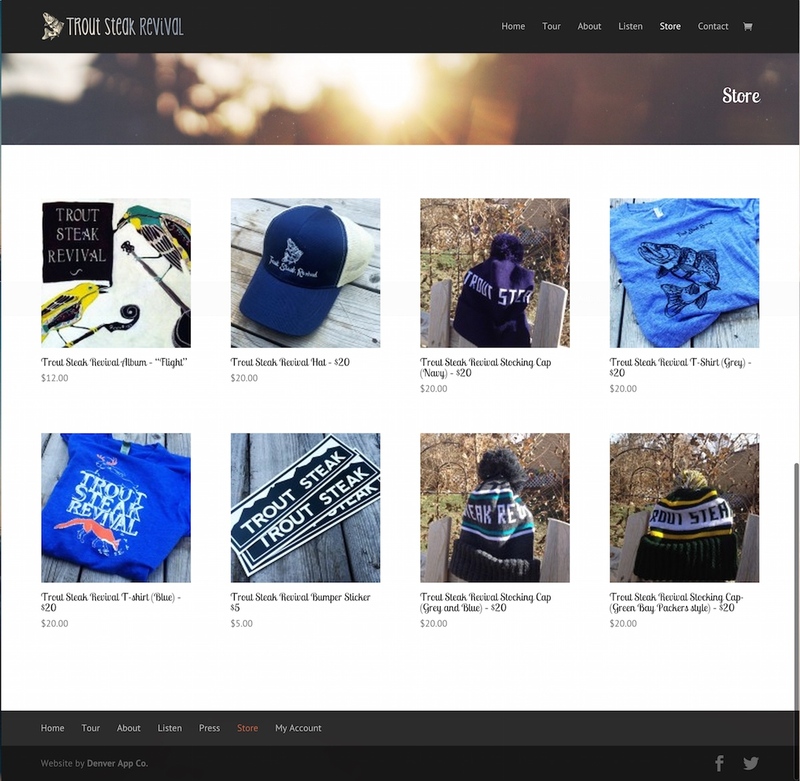 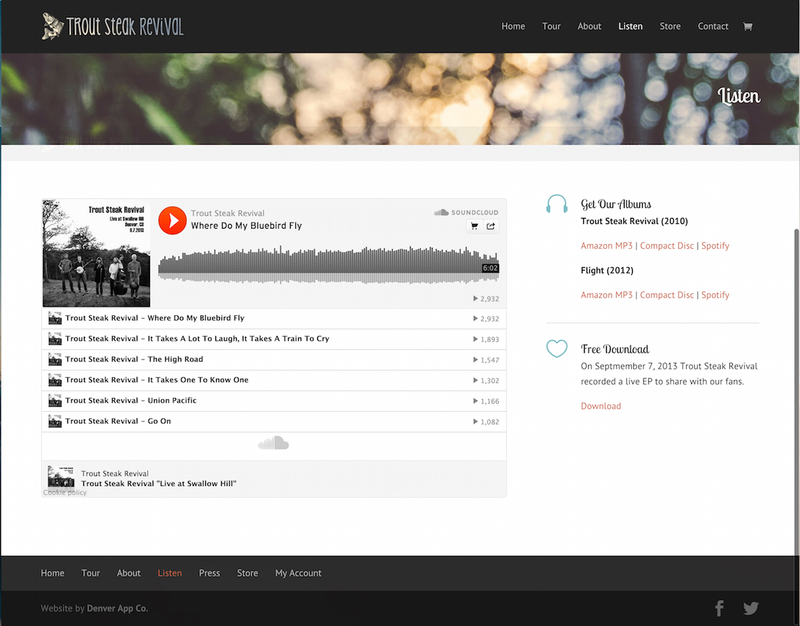 The completed website, troutsteak.com, features some custom integrations; SoundCloud for audio, an e-commerce store and Bands in Town for their tour dates. 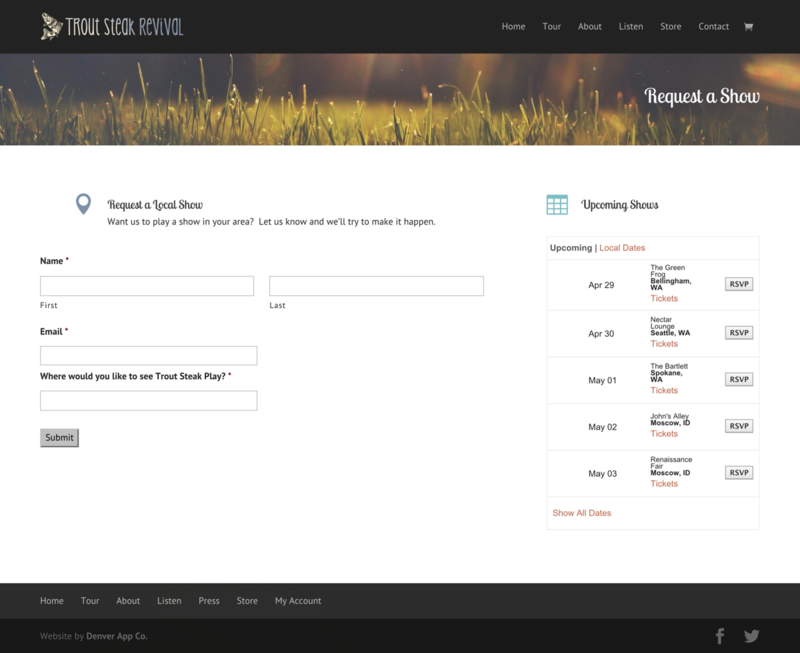 We had a great time working on this project and wish Trout Steak Revival tons of success!